grandma's cookie jar: Christmas Giveaways for 2016 Begin in Two Days!!! Christmas Giveaways for 2016 Begin in Two Days!!! For the past month I've been reviewing items which would make great gifts for Christmas - and announcing a lot of fun giveaways! In just two days the giveaways begin with a fun Christmas find-it book! 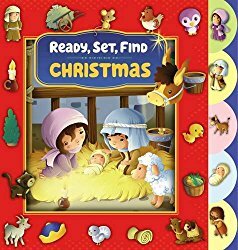 You'll find all the details about Ready, Set, Find Christmas at this link - you still have time to get in the drawing! Please share this with the people you know - someone will win . . . maybe it will be you! I Am Blessed & Oh, So Thankful! "Because My Grandma LOVES Them!" Celebrate! The Most Important Decision Ever! Your Thanksgiving Inventory . . .
A Few Thoughts About the Upcoming Election . . .
Praying for the Ones We Love! grandma's cookbook - Butternut Squash Bread!